It was during one of my classes in school that I realized my love for a topic. That day in class, my teacher was talking about what happened in Hiroshima and Nagasaki in 1945. After the class and for the next few days, there was only one thought in my head: "How can a small bomb, wipe out an entire city and how can its reaction affect the people for many generations." I decided to read a lot more about this and then began my passion for nuclear physics. My name is Atif Jawed and I am studying in class 12th at Sri Chaitanya Techno School, Bangalore. My parents stay in Patna. 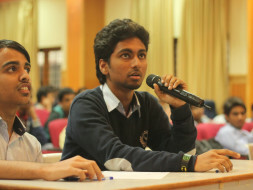 I came to Bangalore to pursue my education. 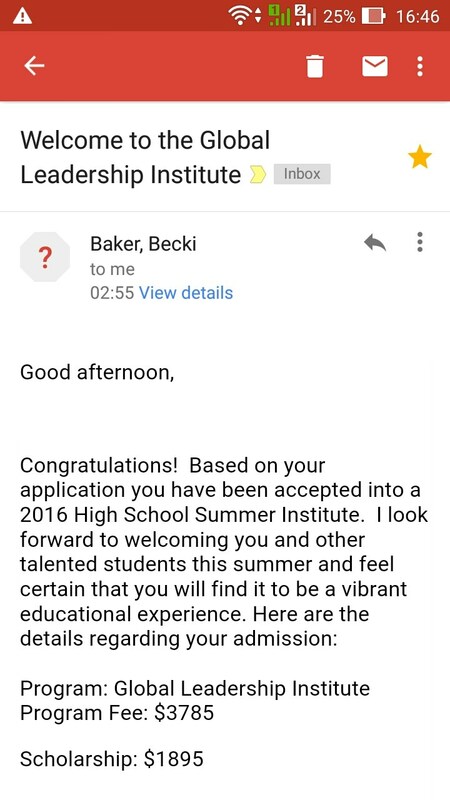 I had applied for Summer Institute program at Washington University, St. Louis. As a result of the hard work I have done and support I have got, I have been selected for the program. 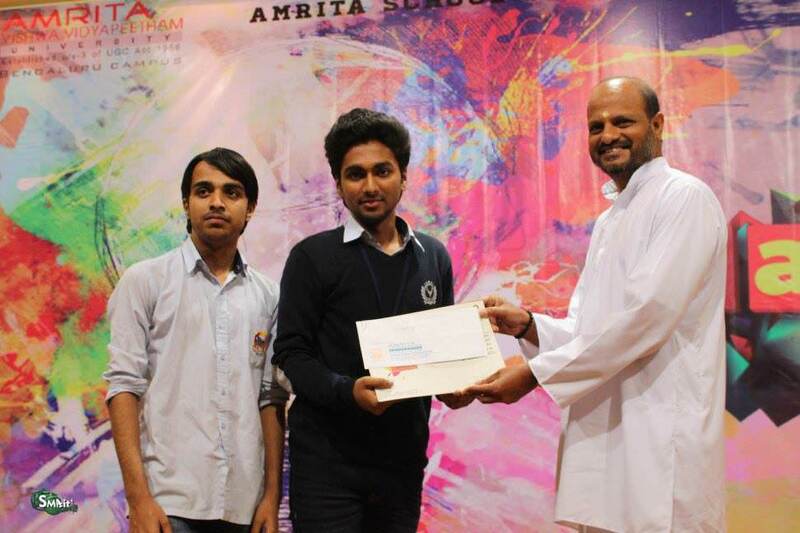 I also received a 50% scholarship on the course and complete scholarship for lodging,meals and workshops. Total course cost is $3785. I received scholarship of $1895. I am struggling to arrange the remaining funds for the course and to cover my travel expenses. I have a passion of learning new things and i take charge to complete the work which i have started very efficiently. Also i am eager to be a professional in what i have learnt before whether it is about the subjects or any other quality. I have leadership qualities but I am not satisfied as for such. My goal is to reach the top most level of learning and to complete it with flying colours so that further I can implement my knowledge towards the development of my country. This term is not as simple as it appears to be. The person who achieves more ,the more bigger he/she becomes. I had pursued my secondary school studies from Loyola high school . I am a good sport person as i have outdoor sports skills like football, badminton and table-tennis where I represented inter-school, district and state level events.Also i had won prizes in different extra curricular activities like dance ,painting,debate and several school functions .I was the house leader for three consecutive year from class 8th to 10th.I was a National cadet council member. I served my school band from class 6th to class 10th and consecutively won best band performance award with gold medal and i know to play many band instruments.I had participated earlier in social services where i had contributed money, cloths,etc and helped the needy peoples and have played many leader category roles. In academics over all if you will observe i am a good student but when you observe subject wise i was always good in maths and physics other subject were above average but i was very weak in biology and history.Presently i am doing well in PCM. 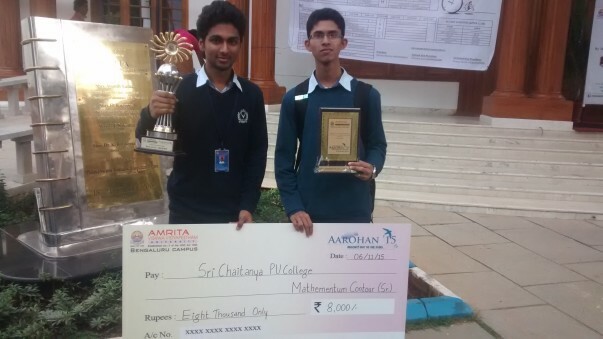 These are some of the images of Aarohan fest at AMRITA VIDYAPEETHAN UNIVERSITY BANGALORE. 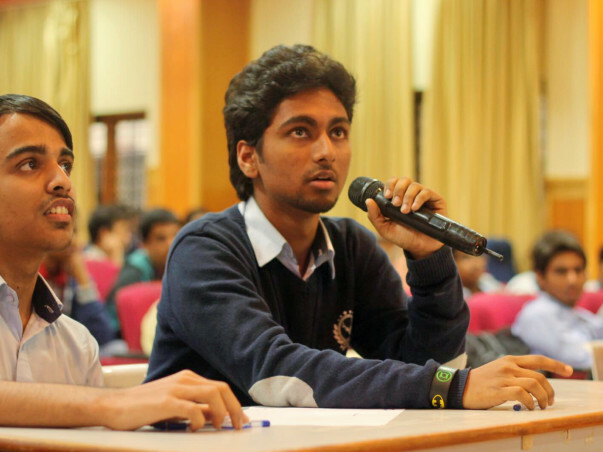 In the year 2016 it was the month of January when i was the campus ambassador for PRAVEGA a national level fest organised by INDIA'S top 1 rank research university -INDIAN INSTITUTE OF SCIENCE .I was doing my best in all part managing students for participation,voluntary actions,participation,group involvement and etc.I myself managed more than 160 students, from different schools and colleges of Bangalore. Here also with my effort and support of my some friends i bagged individual national level 1st rank in campus ambassador program. 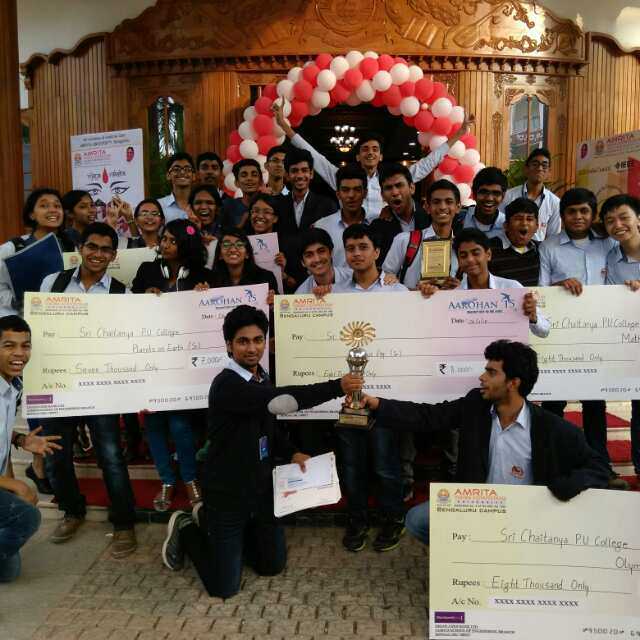 I won individual prizes,cash prizes and also attended workshops for three consecutive days for entrepreneurship and for robotics.It was the wonderful experience in my life.Always winning is not important but some time participating also gives lots of experience. TO DO RESEARCH IN NUCLEAR PHYSICS. TO BECOME A SOCIAL LEADER AND SERVE THE COUNTRY. TO CREATE A PLATFORM FOR THE BEST AND FREE EDUCATION ACROSS THE WORLD. I need your help to reach Washington University and complete the 14 days course. 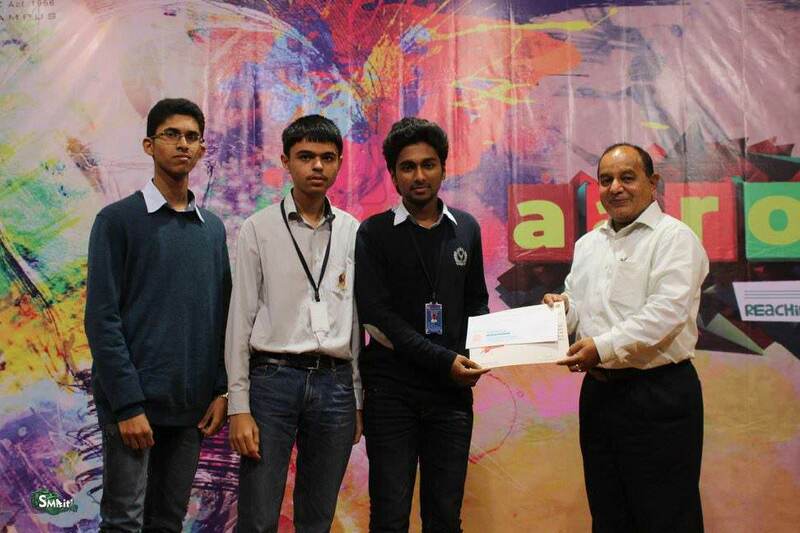 I have bagged a scholarship which covers 50% of the expenses. My family is facing some financial crisis but my parents are trying their best to raise some funds. Your support will help me make the first step towards my dream of pursuing nuclear physics. 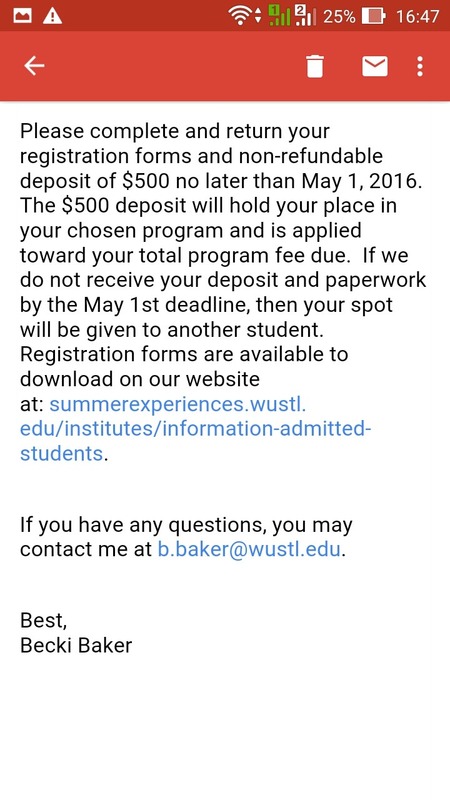 Attached below are the acceptance email I received to attend the Summer Institute Program from Washington University.As mentioned below in the email, i need to pay $500 which is equivalent to Rs.33000 for reserving the seat before may 1st but due to financial problem not able to submit the deposit by the date and I have taken a permission to submit the amount by 14th may.After this date i will be the part of the US summer program but will able to complete only when you are supporting. At last i can just say that without the support of the Community,Country and Educated or the understanding people i won't be able to make my dream true presently.I can just request to support me with your blessings as financial assistance, i will do my my best.I am also running tuition classes, doing lot more to raise some funds but that won't be just enough. A least amount of contribution is also valuable to me because many small contribution can make me reach what i want to be. Credit to my success will be of the individuals or the organisation who supported me in the needy time when everyone backed their faces . Thanks a lot for reading and giving your precious time.